The start is in Dunkirk, on the north coast of France. 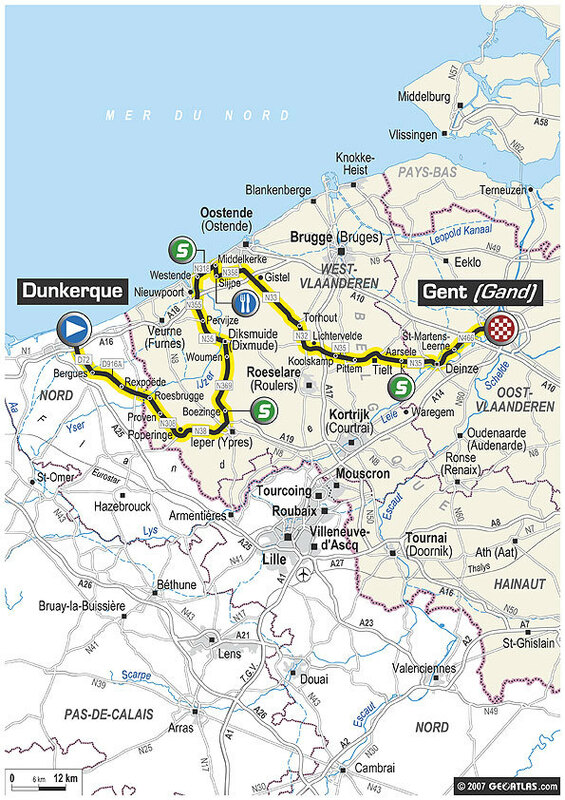 The stage crosses east into Belgium after 16km, passing through cycling’s heartland on its way to Ghent. Belgium’s a bilingual country but don’t ask for directions in French when you are in Ghent. The Flandrian locals will scowl and quite possibly tell you the wrong directions, in English. There isn’t a single categorised climb on the whole stage. This one has ‘bunch sprint’ written all over it. Best of luck to Mark Cavendish (T-Mobile) today after his crash on stage one through Kent.